Could Cryo-Freezing Dead Bodies One Day Make Us Immortal? Fifty years ago, scientists performed the first-ever cryopreservation procedure on a recently-deceased human patient: James Bedford, who had died of pancreatic cancer earlier that day. As per his will, his body was frozen in liquid nitrogen within hours of his clinical death. NOT a good representation of what cryopreservation actually looks like. 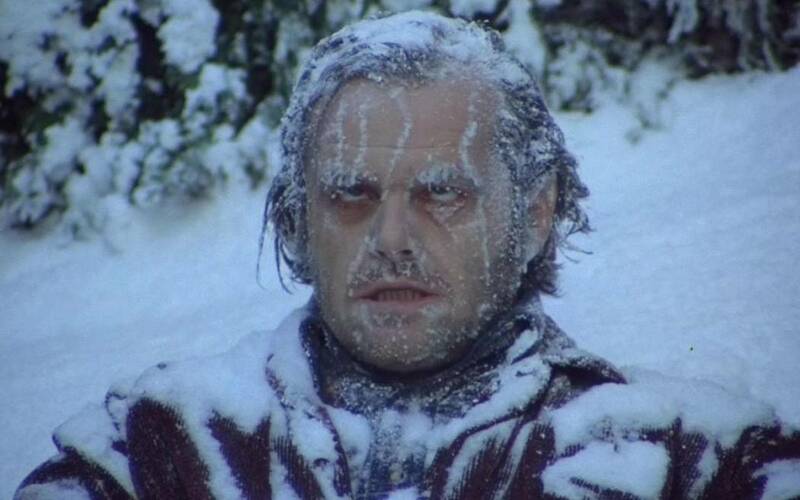 Image: The Shining (1980). Kept at a temperature of –196 degrees Celsius for five decades, Bedford's hope was that he would be resuscitated at some point in the future, at a time when human technological advancements had brought about the cure for cancer (and, evidently, death itself). January 12th is celebrated by proponents of cryopreservation as Bedford Day. And this year represents a particularly significant milestone: since Bedford was frozen in 1967, it's now been a half century since his death and cryopreservation. Unfortunately for him, the envisioned future in which cryopreserved corpses can be brought back from the dead—and subsequently the past—has yet to materialize. And as we stumble forward into the 21st century, it turns out we haven't made all that much progress in the field of cryonics during these past fifty years. Today, scientists have come to the understanding that the primitive method by which James Bedford was first frozen probably didn't do a very good job with regards to the preservation aspect of the procedure. Instead, ice crystals forming under extreme subzero temperatures would have ruptured most of the cells in his body and destroyed the fragile neural structures in his brain. Even if he is one day thawed, Bedford's body has most likely been damaged beyond all repair—even for the godlike techno-humans of the distant future. Real cryopreservation tanks, which contain real frozen people. Image: Alcor Life Extension. Since the year 2000, a vitrification process has become the new standard in cryopreservation. Instead of freezing the body outright, scientists are attempting to administer a sort of anti-freeze solution throughout the body in preparation for cooling. This is intended to prevent ice crystals from forming at extreme subzero temperatures, thus protecting the cells and avoiding what those in the field refer to as "fracturing" of larger organs. And yes, that's just as bad as it sounds. Some believe that this newer vitrification procedure has a far better chance of actually preserving a human body rather than destroying it, and may even enable resuscitation at some point in the future. Unfortunately for James Bedford, the primitive procedure that his body underwent wasn't of the same standard. There are some criticisms, however. For one, the anti-freeze solution that's intended to protect cells from extreme subzero temperatures, and which is known as a "cryoprotectant," is also extremely toxic, and may cause irreversible cell damage in and of itself. Another issue is that it's really difficult to evenly distribute this cryoprotectant throughout the body, especially once it's dead. There's no way to ensure that the solution will be able to protect every cell, or even be able to penetrate deep enough into denser organ tissue to be effective (although it may still succeed at being exceedingly toxic). As a result of these difficulties, cryopreservation has been widely panned as an impractical process in the scientific community. But this hasn't slowed down the movement. Hundreds of human beings have undergone cryopreservation, and thousands more have signed up for the procedure to be administered to their corpse once they're dead. Costs run upwards of $200,000 USD for full-body preservation. A lower-budget option is the neurocryopreservation procedure, in which a person's head is frozen with no body attached, and this can cost as low as $80,000 USD. By distributing their cryoprotectant urine throughout their bodies as temperatures drop, these frogs are able to survive having up to two thirds of their bodies completely frozen in ice. Months later, the frogs thaw out and are able to successfully return to their regular, non-frozen lives. But we can't go using frog urine as anti-freeze in human cryopreservation just yet—this only works down to a temperature of about –18 degrees Celsius, which is only a fraction of what a body preserved in liquid nitrogen would be subjected to. And –18 Celsius just isn't low enough for long-term, fully-suspended cryopreservation to ever work. To date, scientists have been able to cryogenically freeze some small samples of biological tissue with no loss of function: human embryos, male sperm, and female ovum have all been frozen and later utilized for successful full-term pregnancies—sometimes after decades of preservation. These tiny samples are easier to freeze because they can be cooled more quickly (and uniformly) without having to worry about ice crystal formation—therefore, no need for toxic cryoprotectant. The same is not true of whole human organs, such as hearts and livers, for which cryopreservation and storage for later organ transplants has remained impractical. 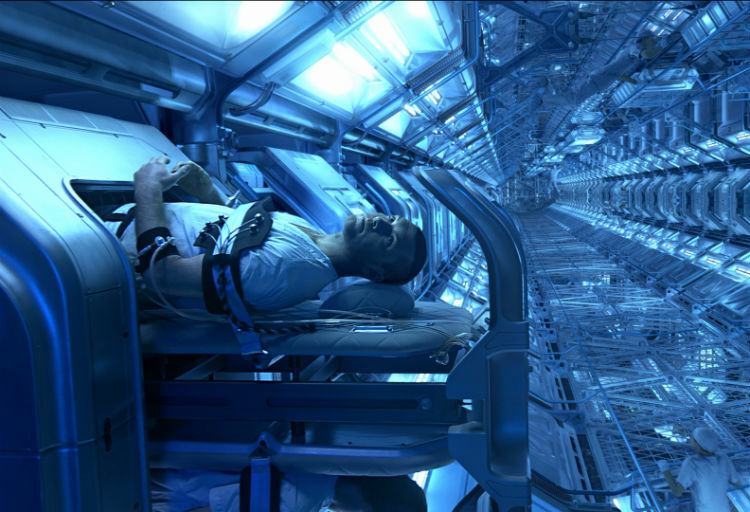 Those who sign up for cryopreservation today may hope to wake up in a James Cameron movie... Image: Avatar (2009). Unfortunately, those who plan to undergo cryopreservation are hoping for a future that may never come. Even if the procedure does one day become scientifically feasible, we'll still have to contend with the difficult problem of consciousness. Death is an unfortunate consequence of life. But it's also the thing that unifies our existence. Without the process of life and death, nothing could exist—there would never have even been a big bang to set it all off. Everything that exists today owes its existence to billions of years of life and death of stars in the cosmos. Proponents of cryopreservation are hoping to avoid death altogether. They seek self-preservation, but they do so without even understanding what the self really is. Guarding one's physical body from death and decay doesn't mean that the self won't be extinguished. In a sense, our self is being gradually destroyed each day and, little by little, rebuilt anew in the fires of perpetual change. The concept of an impermeable, unchanging self is a myth. And so is the idea that you can be frozen in liquid nitrogen for decades and that you can then wake up one day in the future. Just start by imagining your self ten years ago. If you could meet that person, do you think you would enjoy spending time with them? Would you even like that person? Is that person even you? For some people, not a lot changes in ten years. For others, everything changes. Some people live most of their lives without much variance in their daily routine. Others reinvent themselves regularly. In many respects, I was a different person five years ago than I am today, despite sharing the same body. I thought differently. I behaved differently. I invested my time differently. And, apart from history, very little about that person—that self from five years ago—is connected to the person I am now, as I type these words. I also don't know the type of person I'm going to be in five years. Or ten. Or fifty. My self will be very different, but my body will be the mostly the same—just more aged and run-down. In sum: people change. The self is in no way permanent, and it does not persist through time. Instead, the self is a time traveler. Our identity is formed by our conscious ability to move through time, experience after experience, and this forward movement through time is what makes us who we are and builds us into who we're going to become. Consciousness is the you along this journey, and it knows no end besides death. And since cryopreservation necessitates that a person must be dead, consciousness cannot survive cryopreservation. When a human body is cryogenically frozen, all biological activity grinds to a halt. Consciousness, if it still existed, is extinguished. The you part of your self disappears. All that remains, then, is the physical body—a husk that may one day be capable of producing neurological activity again (assuming a successful preservation and resuscitation), but which is no longer the you that it was previously bound to. We don't know whether or not consciousness can be restarted after it's been extinguished. From its earliest formation, what defines a human life is the firing and wiring of brain neurons. Neural activity never ceases, and persists all the way from fetal brain development to death. 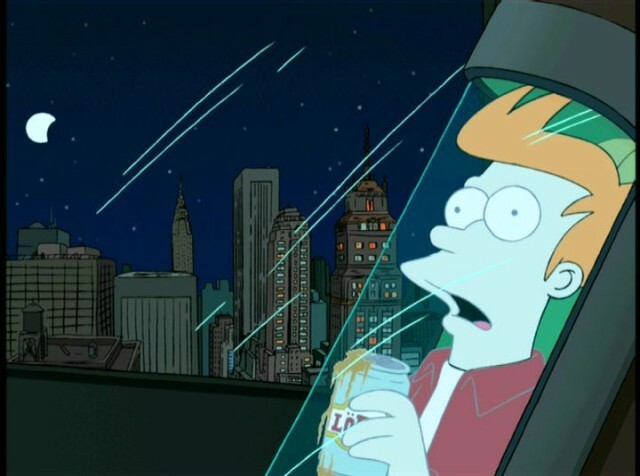 Fry underwent 1,000 years of cryopreservation, and yet he somehow retained his sense of self... Image: Futurama. Consciousness moves along on this continuum, perpetually traveling forwards through time, and never remaining in a single moment. Once the process of cryopreservation forces consciousness to stop or become suspended, the self is destroyed. Proponents of cryopreservation are celebrating Bedford Day in the hopes that they, like James Bedford, may achieve immortality after death. But even if science is able to prevent the death and decay of the body, it can't prevent the death and decay of the self. The thought-process that leads people to choose cryopreservation for their dead corpse is flawed. Even if their body and brain is one day resuscitated in some uber-technological future, they won't be waking up in the cryochamber. Their conscious experience exists now. And it will continue until the time of their death, at which point the firing of neurons will cease—before their body even undergoes the cryopreservation procedure. This is the end of their life, the end of their experience, the end of their self. If (and it's a big if) a cryopreserved body is one day resuscitated, a new consciousness will arise. A consciousness that is completely detached from the continuity of the prior self, and which has no relation to the lived experience of the prior self other than the fact that they share a bag of flesh. But the old self that had initially sought preservation will forever remain in the oblivion of the distant past—dead and forgotten.